I am 100% a snacker. I’ve eaten entire bags of cheese puffs in 2.5 seconds (or so.) One time, I tried to be healthy by buying rice cakes instead – as if the crunch of the rice cakes would replace the crispiness of the chip. It didn’t. But back then I didn’t know that I shouldn’t be buying those bland ‘ole rice cakes. I should have tried Pirate’s Booty. Pirate’s Booty is a deliciously baked, all-natural snack that mom can feel good about adding to the lunchbox. 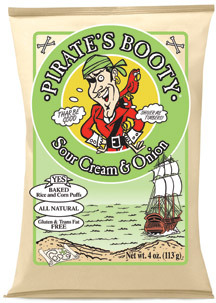 Pirate’s Booty is made from puffed rice and corn and is gluten, trans-fat and tree nut free. Plus, the snack is only 130 calories for a one ounce bag. Also, with Pirate’s Booty, you get more puff per portion – a one ounce serving of Pirate’s Booty has more pieces than a one ounce serving of most competitive snacks, so your little one won’t feel short snacked! Pirate’s Booty is available in a variety of flavors, so there’s something for everyone! 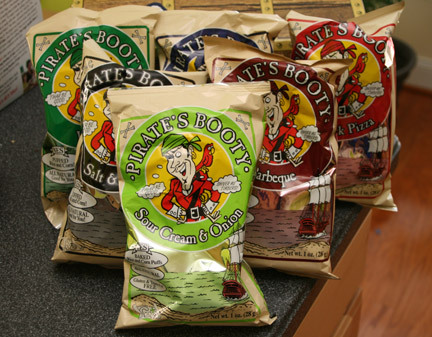 Pirate’s Booty flavors include Aged White Cheddar, Veggie, Sour Cream & Onion, New York Pizza, Barbeque and Sea Salt & Vinegar. One of the testers was very hesitant to try any of the Pirate’s Booty. 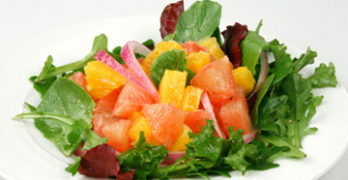 There is a stigma that healthy food can’t taste good. Well, Pirate’s Booty was able to successfully break through his walls with the Aged White Cheddar. 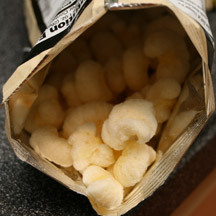 He was amazed at how well the white cheddar complemented the taste of the puffs and was surprised at how good it tasted. If I hadn’t grabbed a few pieces when the bag first opened, I would’ve been short because he ate the entire bag very, very quickly. Overall, I was impressed by the quality of Pirate’s Booty. Depending on which variety, the flavors will be either stronger or subtle, but will ultimately be tasty. The crunch factor is definitely there, making Pirate’s Booty a satisfying and delicious, healthy alternative for snacks. The Pirate Brands story began in 1987 in Sea Cliff, NY with our founder, Robert. Robert, a snack industry renegade and father of two, scoured the high-seas for a tasty treasure that would inspire people to live a little healthier and have fun while doing it. That’s when Robert discovered the cheesy rice and corn puffs we know today as, Pirate’s Booty. Healthy? Corn and rice meal mixed with oil, salt and some flavoring agents from China or who knows where? Hardly healthy and hardly someone who loves their body would subject themselves to. Want healthy? How about a carrot? How about an apple? Eating Pirate’s Booty on occasion (or any other junk food) isn’t going to hurt you, but whatever you do, don’t conflate it with something healthy or something that you can eat regularly and free from guilt.